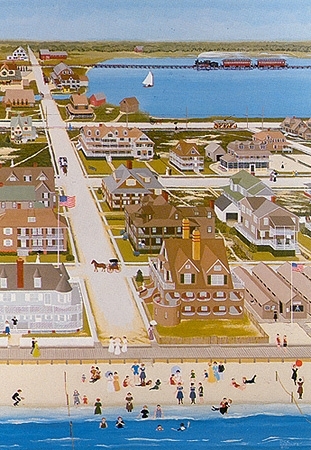 Bay Head looked like this at the turn of the 20th Century. Note the bath house in the right foreground and the train heading south to Camden in the background. The CH Cark house in the foreground on the left still stands, having survived many hurricanes and nor'easters. The Peek-A-Boo house and bath houses on right are long gone, as are the train station, Belleview Hotel and trolley.